Meditating together in a group creates a strong spiritual atmosphere which allows a deeper experience of meditation. In satsang, people of different levels practice together – from beginners to experienced practitioners. Satsang, which means “association with the wise,” is a key element of the practice of Yoga. It consists of guided and silent meditation followed by the chanting of mantras and kirtan and an easy-to-follow reading and/or talk on Yoga philosophy or psychology. The steady, joyful practice of satsang tangibly builds the energy at the Yoga center. Our chant book reflects the inclusiveness of the Sivananda lineage, with a section of chants for each of the main Yogic deities, as well as chants in English and Hebrew. 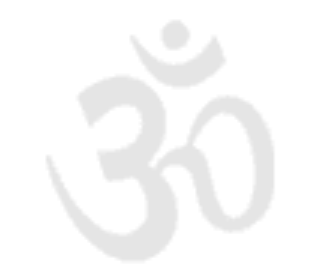 Many of the Sanskrit chants are followed by translations. 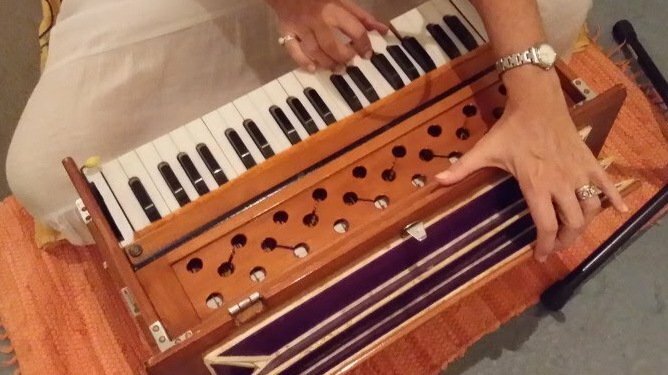 Our Daily Chants (Jaya Ganesha) and a few bhajans are usually accompanied by harmonium and simple percussion. We recite Swami Sivananda’s Universal Prayer and conclude satsang with arati, an offering and receiving of Divine Light. We also share prasad, a sweet offering. Beginners and members of all traditions welcome. This is a free event although donations are gratefully accepted. Please arrive at least five minutes early.